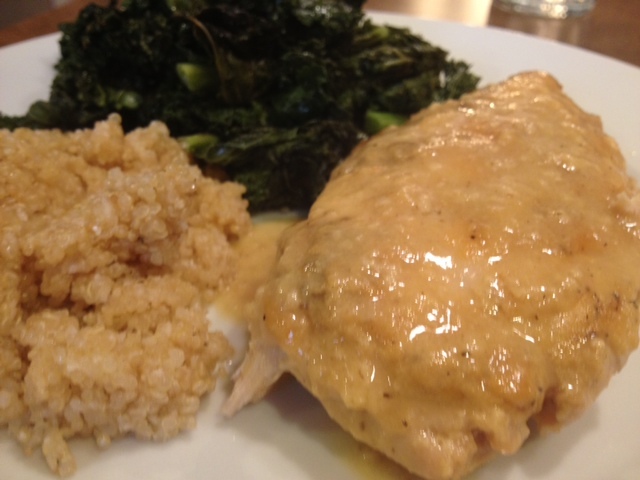 Mustard & Maple Syrup Chicken. 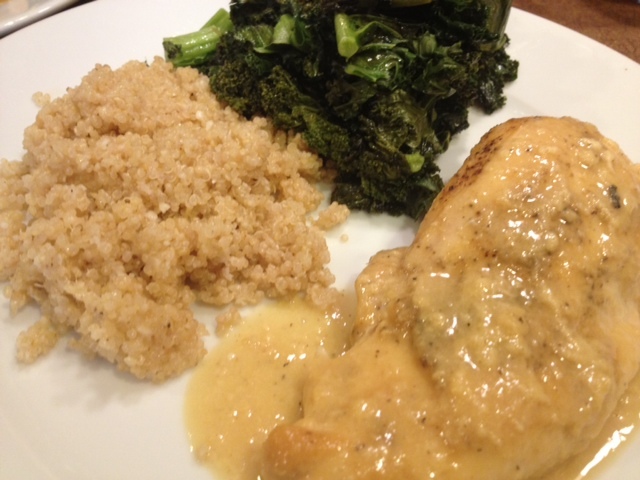 Dijon Mustard & Maple Syrup Chicken. 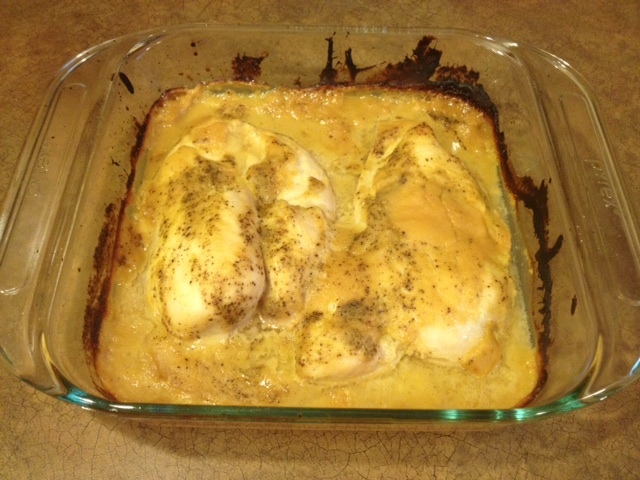 I found this recipe on Pinterest and felt it was important that I make this chicken which is referred to as “The World’s Best Chicken.” This chicken makes a great weeknight dinner – it’s super fast and easy to make. 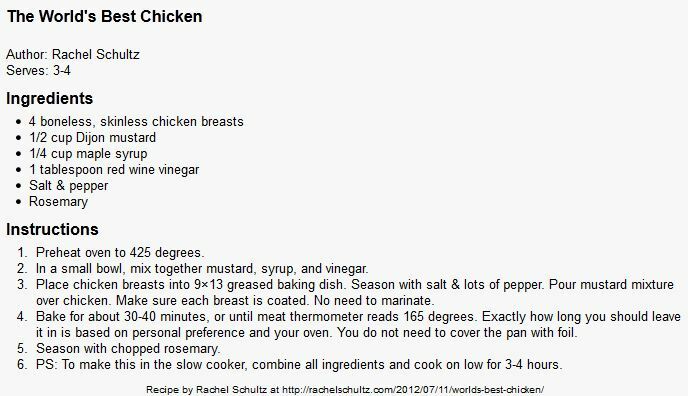 I followed the recipe as directed but used two large chicken breasts instead of four and skipped the rosemary because I’m not a big fan. 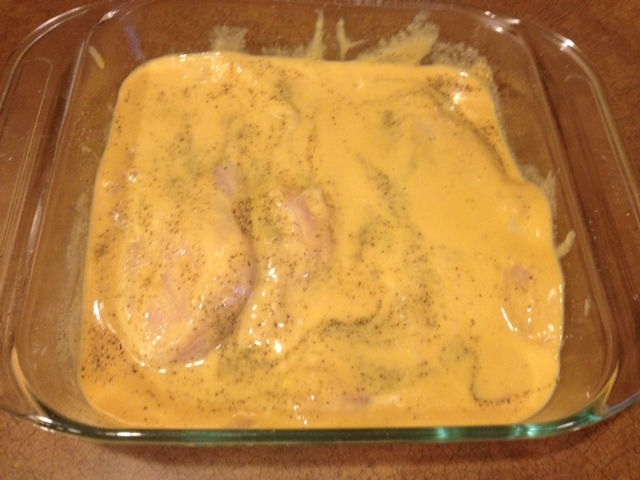 The chicken was really tasty and flavorful. 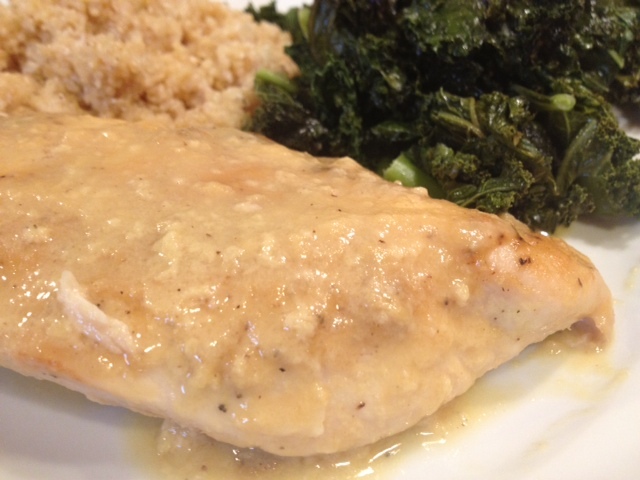 The maple syrup balances out the Dijon mustard and adds a subtle sweetness to the dish. Big fan of this recipe, we will definitely be having it again soon! ← New & Improved Baked “Fried” Pickles. looks yummy. I’m gonna try this in the slow cooker. What are your side? It was yummy! 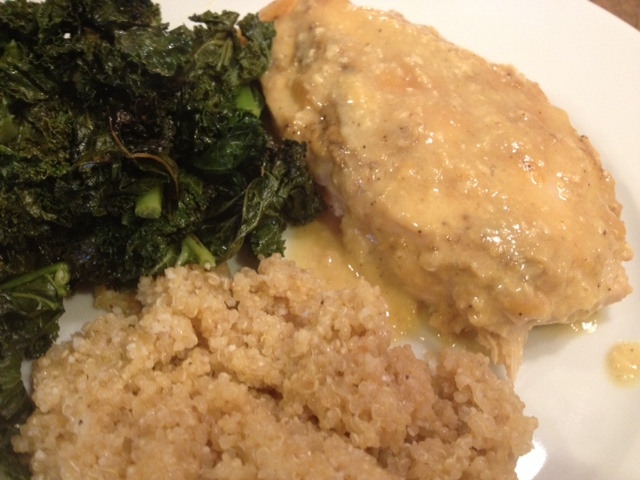 I served with roasted kale and quinoa mixed with parmesan cheese.